A colossus in our mountains! 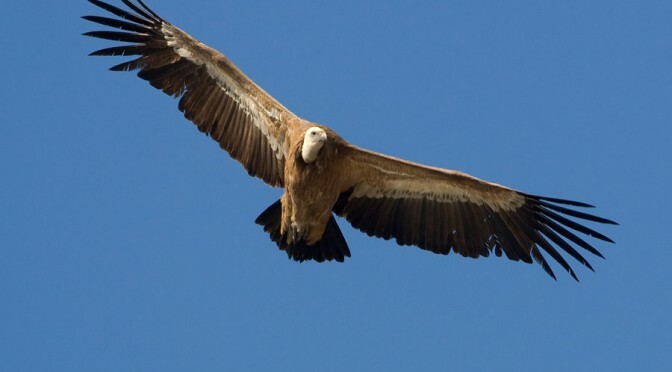 With a wingspan of 2.8 metres and weighing 8 kilos, that’s 9 foot and 17lbs in old money, Griffon Vultures Gyps fulvus is our largest resident raptor here in the Serranía de Ronda and Sierra de Grazalema. Essentially a specialist carrion eater, this enormous bird is spectacular and the most easily seen raptor in our mountains. 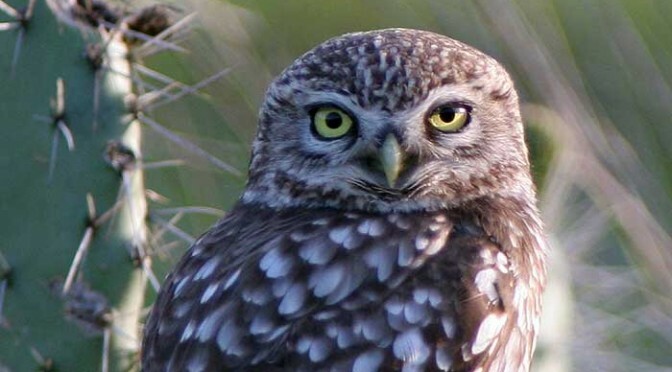 Throughout Spain, this species has increased steadily over the past 15 years by the provision of feeding stations, the last official census carried out to ascertain the number of breeding birds put the population at 17,000 pairs. Bonelli’s Eagle (Hieraaetus fasciatus) master of our skies. 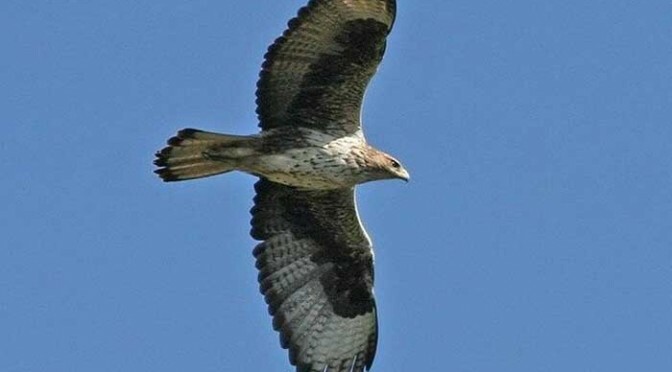 If you were to search for an emblematic species which would define the importance of the Serranía de Ronda and the Sierra de Grazalema for wildlife, then the Bonelli’s Eagle (Hieraaetus fasciatus) would be the definitive and unequivocal choice. 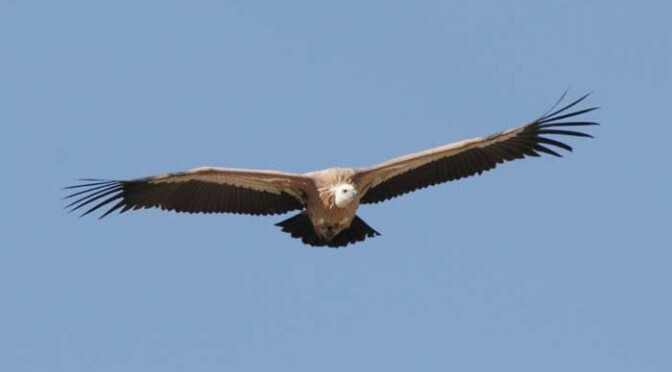 Among the rarest species of raptor in Europe, the Bonelli’s Eagle has perhaps, for the moment, its highest breeding density in the world right here in the Serranía de Ronda! I guess the first impressions you get from seeing a Hoopoe for the first time is a mixture of the comical as well as the beautiful! With its striking colours and very distinct black and white wing pattern the Hoopoe is a favourite among even the most casual observer. 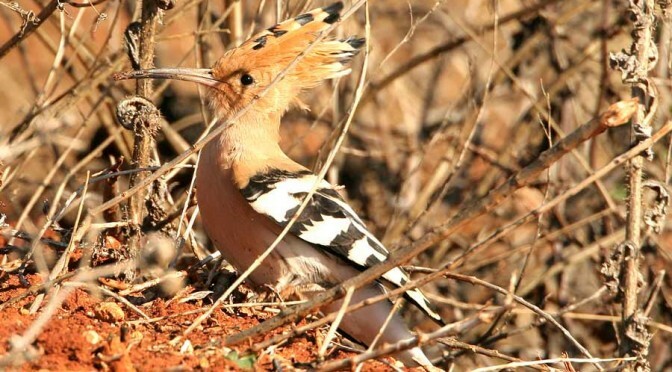 The Hoopoe is a one-off polytypic species and is distributed widely throughout the Western Paleartic, but is only a resident in southern Spain, northern Africa, Egypt and the Lebanon. It is one of those birds whose presence during the winter months can more than make-up for the cooler temperatures. The El Tajo gorge offers a wealth of bird species to watch, in fact many tourists book rooms in hotels overlooking the gorge specifically to setup their binoculars on hotel terraces away from the crowds. The area between the Puente Nuevo and the Jardines del Cuenca is a deep almost enclosed part of the gorge that buzzes with life, from flying insects to spiders, lizards and geckos, and of course the many birds that nest in the gorge or hunt for food here. 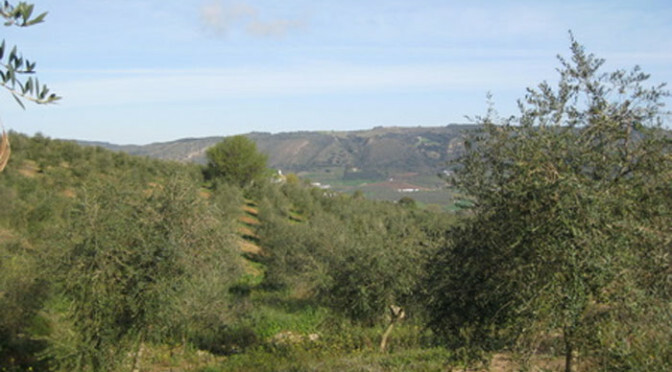 The Sierra de Grazalema is one of the most scenically stunning areas in the whole of Spain. It is a diverse UNESCO Biosphere Park containing habitats ranging from mixed oak woodlands, pine forest and upland pastures to high mountains where life clings-on in the extremes of seasonal climate change. Temperatures are wide-ranging throughout the park influenced by altitudes from 400m to 1600m above sea level, as well as the eastern areas benefiting from the Mediterranean climate the western facing slopes are affected by the Atlantic climate. Unsurprisingly such a varied habitat and range of altitudes produces a great diversity in flora and fauna. Our ABS Field Meeting for December visited this important area and gave attending members a chance to marvel at the landscape and, as always, enjoy each others company.